This steeple clock has a fancy minimalist design. The design itself is steeped in tradition, and will always remind you of famous steeples that you've seen. 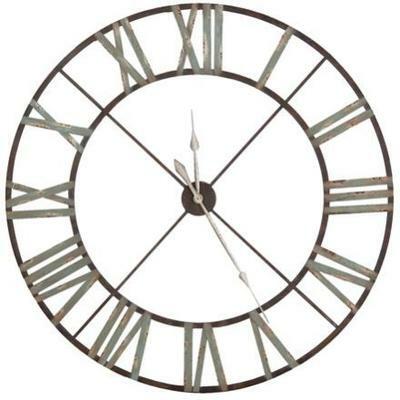 The numbers are all in Roman numerals, which adds a sophisticated appearance to the clock. The hands of the clock come out from the center. They are narrow and have a light silver colour. That's a nice compliment to the darker frame of the clock. This steeple clock will look very nice hanging up on the wall in any modern dining room, kitchen, office or bedroom. It's made out of iron and has a quality design that will last for years. This steeple clock will be an ideal present for any friend who is moving into a new apartment. It requires one AA battery.